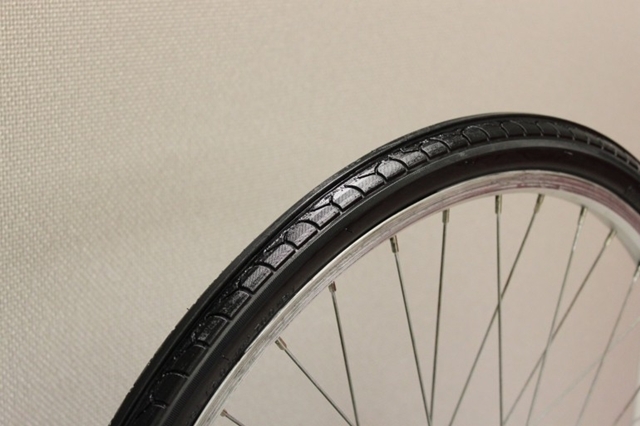 Self-inflating bicycle tyres | IAMABIKER - Everything Motorcycle! The PumpTire is designed to automatically pump air into the inner tube, using the compressive effect of the tire meeting the ground as it turns. Once the tube reaches the desired pressure, the pumping action ceases. Invented by San Francisco’s Benjamin Krempel, the prototype PumpTire system consists of a tire, an inner tube that clips into it, and an air valve. Air is drawn through the one-way valve, which protrudes from the rim like a regular valve stem. Instead of going directly into the inner tube, the air goes into one end of a lumen, which is a small tube running along the center of the tire. As the tire rolls against the ground, the lumen is compressed, forcing air out of its other end and into a second valve – this one on the inner tube. The resulting absence of air in the lumen creates a vacuum effect, drawing more air in through the first valve. The valve is able to sense when the proper pressure has been reached, and automatically stops drawing in air. Once the pressure has dropped again, due to the seepage that occurs in tubes over time, the air intake resumes. In this way, if the product works as planned, cyclists need never have to check or “top up” their tires again. There are presently two versions of the PumpTire planned, a 26 x 1.5-inch City Cruiser is intended for casual cyclists, and will keep the pressure at a preset 65 psi and a 700c x 28 mm City Pro, as the name suggests intended for more performance-oriented urban cyclists. The maximum pressure is set manually by the user, and can range from 65 to 95 psi. 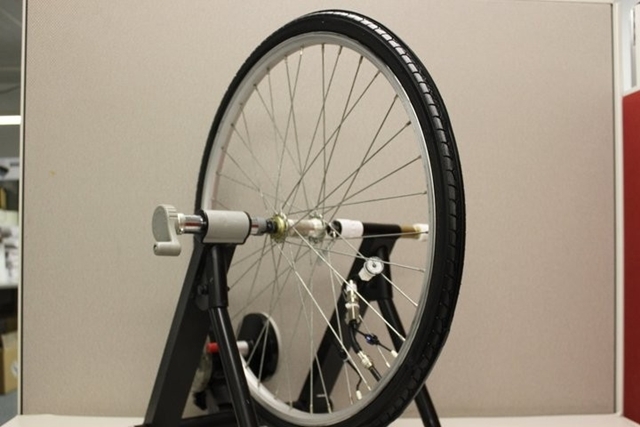 Both tires can also be manually inflated using a pump, and will be available with Presta or Shrader valves. While the valve appears to be rather large in the illustrations, it should reportedly be smaller by the time the product reaches stores. PumpTires are intended to sell at a price of US$129.90 for a set of two City Cruisers, and $149.90 for a set of two City Pros. You can order your tyres at the company website Pumptire.